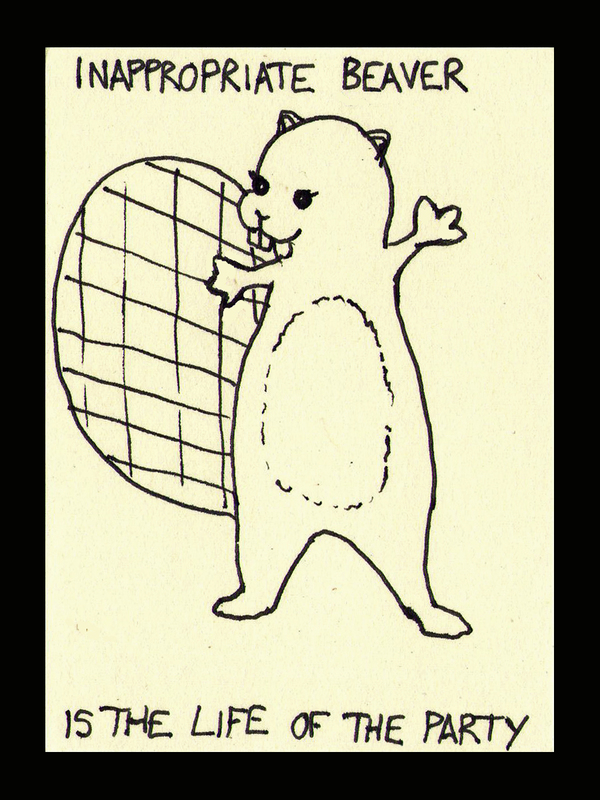 Finally, this blogtoon gets some inappropriate beaver pics. This is going to blow my search results all to hell. Crap, I just said ‘blow’. By the way, it took this long not because I wasn’t champing at the bit to draw Inappropriate Beaver, but because I couldn’t figure out how to keep her from looking like Manic Pixie Otter’s backwoods cousin. The answer is, I can’t. This entry was posted on February 7, 2014 by naralesser and tagged beaver yo, non-owl, terrible ideas, this won't end well.